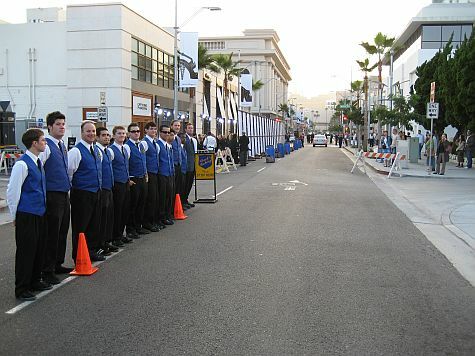 October 8, 2006 - Rodeo Dr.
On October 8, 2006, Chuck's Parking Service provided a valet parking service for 600 guests in attendance of the Rodeo Drive Walk of Style Awards Ceremony honoring Salvatore Ferragamo. The event included the street closure of all of Rodeo Drive between Brighton Way and Dayton Way. The event included a performance by Kanye West.